Illness, medical emergencies, severe weather, delayed flights, lost passports or luggage. Troubles can occur when you least anticipate them, forcing you to cancel or interrupt your trip, lose your vacation investment, and incur unplanned expenses. We recommend you purchase travel insurance to guard against the unforeseen and provide peace of mind. At Aspire Down Under we offer two ways to instantly purchase your travel protection. CSA Travel Protection’s Custom and Custom Luxe Plans are specially designed to protect you and your traveling companions – and are competitively-priced based on factors like your age, destination and length of trip. Be sure to get the right level of travel protection so you can relax and enjoy yourself. Our Custom Plan* offers you a well-rounded package of benefits. Protection includes coverage for lost, stolen or damage baggage, specific unforeseen issues that can force you cancel or interrupt your trip, missed connection and travel delays, medical and dental coverage and more. Each plan can cover up to 10 people and is available for purchase up to and including the day prior to your departure date. † ID Theft Resolution does not include, and shall not assist you for thefts involving non-U.S. bank accounts. *Exclusions apply. For complete plan details prior to purchase, see your state-specific Description of Coverage/Insurance Policy. ** Teladoc services may not be available in all states, and international services may be limited. Our popular Custom Luxe Plan* comes with all of the coverages and services included in the Custom Plan – several with increased limits – plus additional benefits like the option to purchase trip cancellation for any reason coverage. Plus, those with pre-existing medical conditions may be eligible for coverage as long as they purchase the plan up to or within 24 hours of their final trip payment and meet certain conditions. What Else Can you Expect ? †10-day Free Look: CSA Travel Protection will provide a refund of your plan cost if you cancel your insurance within 10 days of purchase and have not filed a claim or departed on your trip. CSA Travel Protection is dedicated to providing valuable travel insurance and emergency assistance services to protect travelers’ vacation investments. CSA has developed a reputation for standing behind its customers with products and services that meet their needs. Through excellent customer service, extensive experience and industry-leading innovation, CSA is with its clients every step of the way, whenever and wherever they are needed. Generali U.S. Branch is the U.S. Representative office of Assicurazioni Generali, S.p.A. whose head office is located in Trieste, Italy. Assicurazioni Generali, S.p.A was originally founded in 1831 and the US Branch was established in 1935 (there was a brief shut down during WWII, from 1941-1952). The parent of the Generali Group, Assicurazioni Generali, S.p.A., is one of the world's 50 largest companies (source: Fortune Global 500). With its strong international outlook, the Generali Group is present in more than 60 countries in 5 continents and employs over 75,000 professionals worldwide. 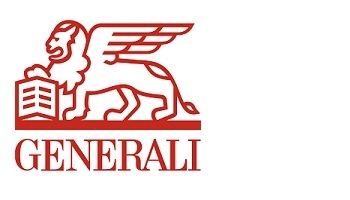 Generali U.S. Branch is licensed in all states and operates in all lines of business including property, casualty, aviation, marine, reinsurance, and accident and health. In the community, the Generali Group is very active in providing assistance to the disadvantaged, fostering community involvement in environment protection, supporting the arts and actively promotes both amateur and professional sports activities and events worldwide.